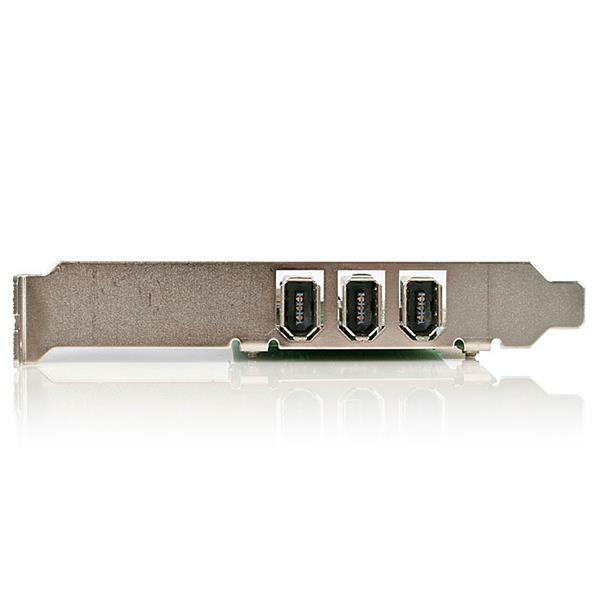 The FireWire adapter card supports hot-swapping, so you’ll be able to plug, unplug, and swap your FireWire peripherals with ease. 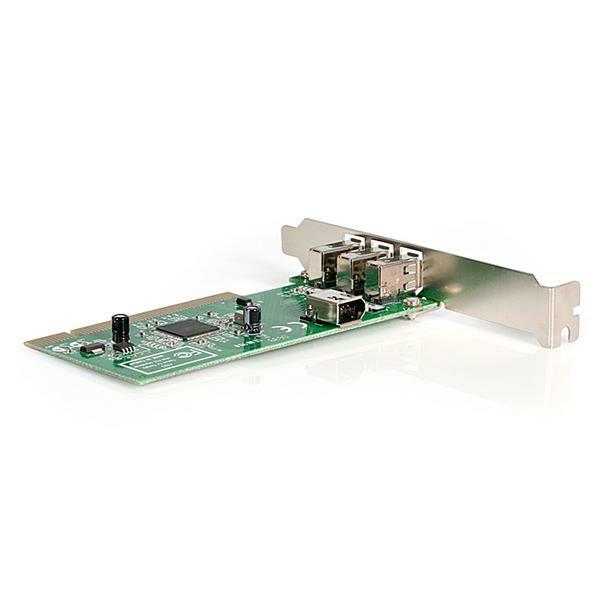 Guaranteed to work with both PCs and Macs, the 4 port PCI FireWire Adapter Card is backed by StarTech.com’s Lifetime Warranty and FREE LIFETIME tech support. Plus, the adapter provides both standard profile and low profile/half-height brackets for adapting to slimline or small form factor system applications. 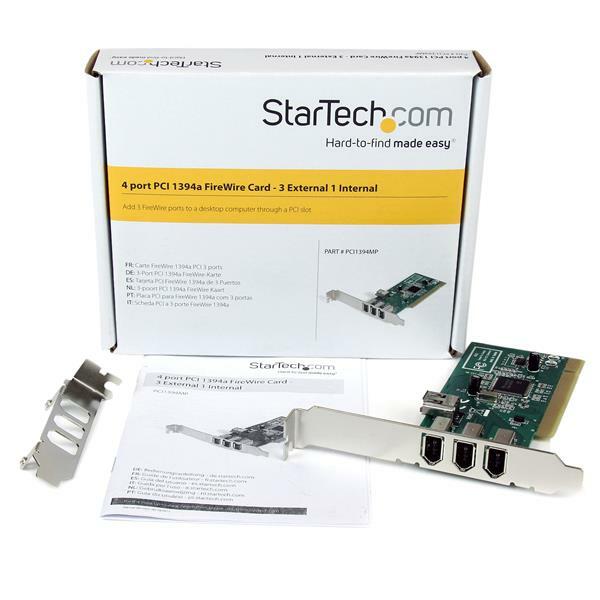 Please Note: If you require digital video editing software, StarTech.com offers a complete FireWire kit with our PCI1394_4 card. This software is compatible with Windows operating systems only. 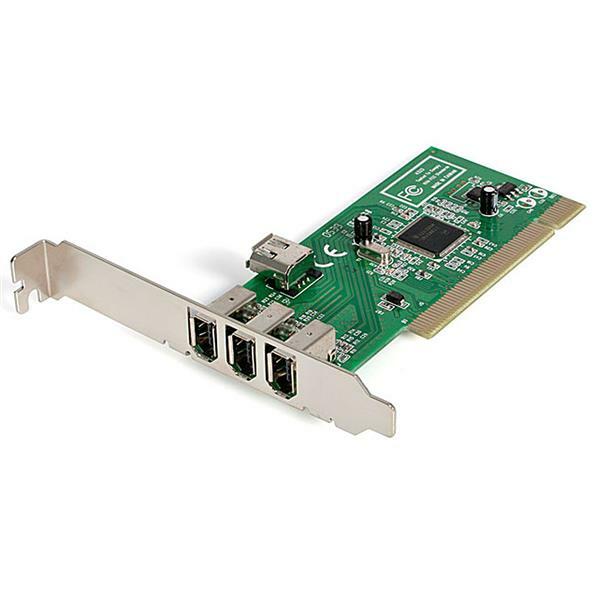 This card is natively supported in all operating systems listed on the product page, under the Technical Specifications tab. This means that the card should install automatically after physically connecting it. If there are any issues with the functionality of the card after installation in Windows, refer to the following FAQ: https://www.startech.com/faq/firewire-cards-windows-legacy-driver-swap. Use the FireWire cables, devices, and controller card in another setup to see if the problem is with the components or the setup. Use a different FireWire cable, device, and controller card in your setup to see if the problem persists. Ideally, you should test a component that you know works in another setup. Press the Windows key + R, type devmgmt.msc, and press Enter to open Device Manager. Check to see if your devices are listed under IEEE 1394 controllers. 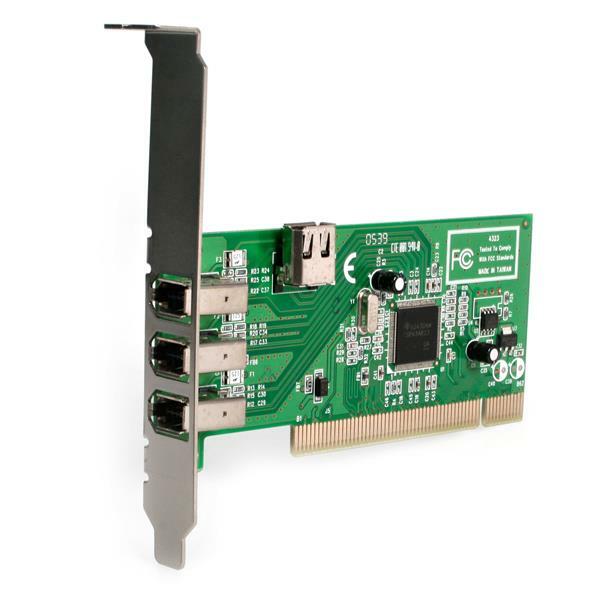 If you do not see the FireWire controller card listed in Device Manager, refer to the following FAQ: https://www.startech.com/support/faqs/technical-support?topic=expansion-cards#pci-pcie-cannot-boot-os-or-detect-windows. I have installed my FireWire card but it isn’t working. What do I do? In Device Manager, expand IEEE 1394 Bus host controllers. Right-click on 1394 OHCI Compliant Host Controller. Click 1394 OHCI Compliant Host Controller (Legacy). When Windows has finished installing the driver, click Close.